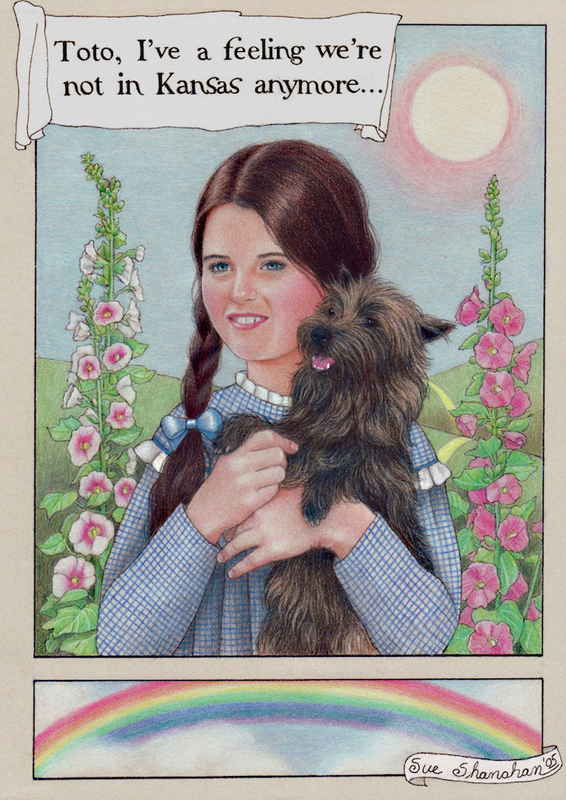 This illustration graced notecards I did as a gift for Maria Shriver’s 50th birthday. Everyone’s life has a calling. We all come here to fulfill a sacred duty. I am an artist. For as long as I can remember, I’ve been creating things. My aunt recalls me, at age three, playing with a handkerchief for hours. I would fold and form it into different props for my land of make-believe. Although I came here with special talents, I now know they’re not the reason for my existence. My artistic ability is woven through the fabric of my soul to support and help manifest why I was born. What is a calling? It is different from your talents? Your gifts, personality, and brain power are all part of the intricacies of your soul, set in place to help support your life’s purpose. In the Bhagavad Gita this purpose is referred to as your dharma. It is our soul’s mission, the reason we were born. How do we find our vocation? One thing is certain, although clues may come from the outside, the concrete knowing always come from within. For a good portion of my life, I assumed my mission was to be an artist. Didn’t the skills I brought to Earth clearly indicate that? But after reading Stephen Cope’s illuminating book, The Great Work of Your Life, I discovered that my gifts are only a finger pointing to my dharma. He explains, “If you bring forth what is within you it will save you. If you do not it will destroy you.” Reading that set me on the path of digging deeper to uncover what I am here to fulfill. 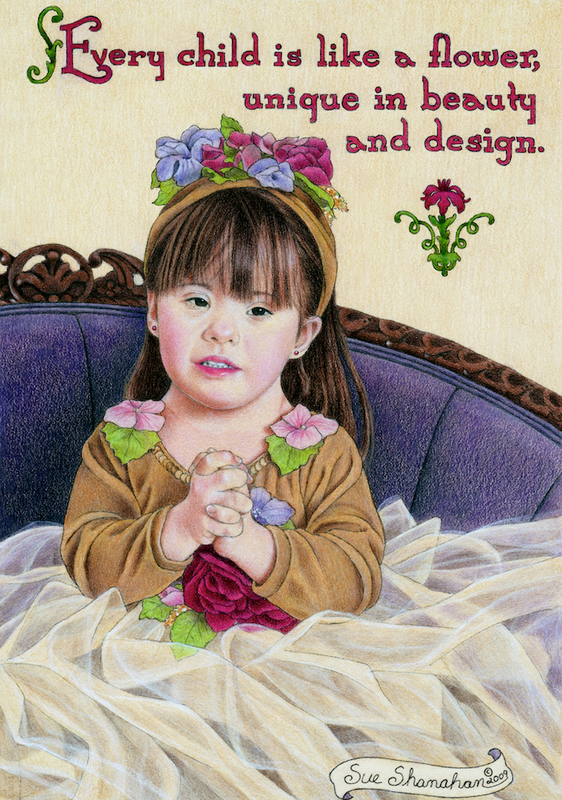 I knew I had a talent for capturing the spirit of children in my drawings and paintings. I love the whole process. But upon further examination, I came to the conclusion that this just scratches the surface of my true lifework. A portrait where I was able to capture my subject’s beauty and essence. “Clare” is a favorite painting of mine. In an email from singer/song writer Rodney Crowell, I found my answer, “I notice things in your work I love about Renoir’s. Seeing soft beauty in the commonplace. Heaven on Earth if you will.” That’s it! I see the allure in the ordinary and reflect it back to my subjects and the world. I do that in my writing, too. We are all here on earth with the longing to be validated. There is not a heart that doesn’t yearn to be seen and loved for itself. In a society saturated with celebrity glitz and glam, my creations celebrate the extraordinary in the ordinary. Does everyone have a calling that includes an obvious talent? I don’t think so. My sister Ann owned a cleaning business. And no, she didn’t have a passion for cleaning. Over the years, she discovered what filled her cup was to be of service. Explaining the new found contentment in her job she told me, “I clean toilets for a living. I had to figure out a way to find meaning in that. I realized my cleaning and organizational skills were a gift to my clients. When I began focusing on helping others, everything flipped.” Ann had claimed and named her dharma. After her epiphany she couldn’t satisfy all the requests she garnered for her services. We are all put on this planet with a mission to actualize. I suspect every heart is heavy that has a song in it that’s left unsung. With all of our culture’s frenzy it is easy to overlook our unique gifts and what they were given to help us manifest. Once we answer the call of our life’s purpose, there is no going back. We feel more alive. We go from the mundane to Technicolor. Like Dorothy from The Wizard of Oz, we realize that we no longer live in the grey of Kansas but have landed in a world of living color. And along with challenges, we discover a place of truth and beauty. Glad you like it. I highly recommend Stephen Cope’s book I mentioned in it. You would love it. Like your sister I don’t have obvious talents so I must search for mine. Thanks for sharing! Thanks, Lois. You are going to love Stephen’s book. I didn’t want it to end.